The latest version of Avid’s music production software has been unveiled at NAMM 2015. 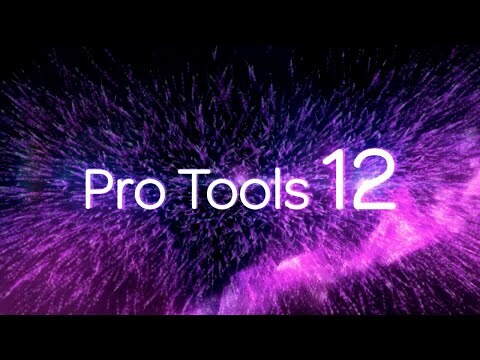 However, Pro Tools 12 offers more than just an updated version, as there is now flexible licensing for the product as well as Cloud collaboration and a free version, Pro Tools | First. Pro Tools 12 is now available on monthly subscription, so users can stay up to date with software updates and innovations as soon as they are released via the cloud, with no additional charges. Avid Cloud Collaboration enables Pro Tools users to work with others simultaneously; recording, editing and mixing sessions in the cloud, just as if they are all working in the same studio. Avid now offer a free version of Pro Tools that offers many of the same music production features enjoyed by professional users and recording studios worldwide. Pro Tools | First is easy enough for beginners to learn, yet sophisticated enough for more experienced users.